If it’s on a discount, Echo Input is a no-brainer for adding Alexa and breathing new life into an existing hi-fi system or powered speaker with an auxiliary input. Would you be better off with an Echo Dot? 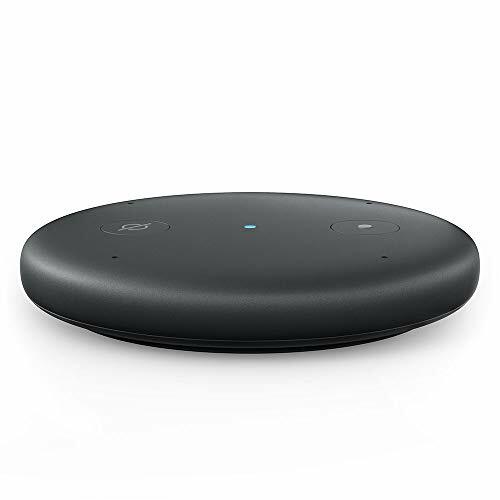 The second-generation Echo Dot was a great little device with two distinct purposes: one to bring Alexa to a powered speaker or hi-fi and secondly to provide a cheaper single-device gateway to Alexa than that offered by the main Echo devices. Fast-forward to 2018 and Amazon launched the third-generation Echo Dot with a beefed-up speaker. That upgraded the Echo Dot into a serious Echo device that was OK - if not a patch on the main Echo devices - to use for music playback, too. But what about people who wanted to bring Alexa to existing equipment, such as a Bluetooth speaker or a traditional separates hi-fi system? They were previously catered for by the second-generation Echo Dot - but that has now been discontinued. That's where the Echo Input comes in. The hockey puck-shaped device is essentially an Echo Dot without the speaker. Lack-of-speaker aside, it’s a fully-capable Echo device. If Alexa can do it on another device, it can do it on Echo Input. Equally Echo Input works with Spotify Connect and can connect to any phone, tablet or computer via Bluetooth – so it’s also an excellent way to add Bluetooth connectivity to an audio setup that doesn’t have it. Although it was announced by Amazon back in September 2018, supplies were very limited in the latter part of last year but it’s now fully available in both black and white. Price point is very important for this device and we’ve some thoughts on the pricing of Echo Input below. Once you've physically plugged it in, setup is simple and, like other Alexa devices, is set up using the Alexa app. Echo Input is powered by a Micro USB cable like many other devices and, although it’s not recommended, it means you can power it off another device such as a Bluetooth speaker with a USB port. This was also one of the benefits of the old Echo Dot (but the new third-generation version now has a proprietary connector). The benefit of this is that you’re not powering the Echo Input when you’re not using it, but the downside is it does take a few seconds to power up when you switch it on. Coincidentally, the Google Home Mini equivalent also uses a Micro USB for power, so you can also power that by another device. You do need to have Input connected up to a device using the 3.5mm jack. If you don’t, you won’t be able to hear what Alexa is saying back to you. If Echo Input detects that the device it’s connected to has lost power, it will send a notification to your Alexa app. This can be handy, but 99 times out of 100 you’ll know that it has lost power because you probably switched it off. You can see when she is listening or speaking thanks to an LED indicator in the centre of the device. But it isn’t as easy to see when Alexa is working as it is with Echo devices with the light ring. That can be a problem – we’ve got our Input connected up to our living room hi-fi setup which is on top of a sideboard. If you’re sat at the dinner table barking a command, you can’t see that Alexa is listening as you could with the Echo Dot we replaced with it. However, Input is responsive – there’s no issue with it picking up normal speech. Like the new third-generation Echo Dot, it also has four microphones. Because of the poor Alexa LED indicator, you can sometimes think it hasn't picked up what you've said just because you haven't seen the physical indicator that Alexa is working. Another slight issue is that, because you're relying on another device for volume, you can sometimes think Alexa hasn't replied when in fact you've just got the volume turned down on your amp or powered speakers. Echo Input pricing fluctuates. At the time of review, Echo Input costs $35/£35 which is too much considering Amazon’s own pricing structure for the Echo Dot which has been in flux itself – Amazon has a lot of sale periods, which make it hard to pass judgement when a price will often be slashed (see our dynamically updated pricing widget below). So, if Echo Input is on a $20/£20 deal, we think it’s a good buy. If it’s not, we believe you’re better off looking for an Echo Dot deal, which will give you the added flexibility of the speaker. We've got the current best Echo Input prices for you below. If it’s on a discount, Echo Input is a no-brainer for adding Alexa and breathing new life into an existing hi-fi system or powered speaker with an auxiliary input. Micro USB power means the range of options for powering it are plentiful, while that 3.5mm jack naturally means it can connect to anything. However, at full price Input does seem expensive compared to Echo Dot, especially with the third-generation’s more powerful speaker. But it's still a highly capable link between you, Alexa and your legacy audio gear.